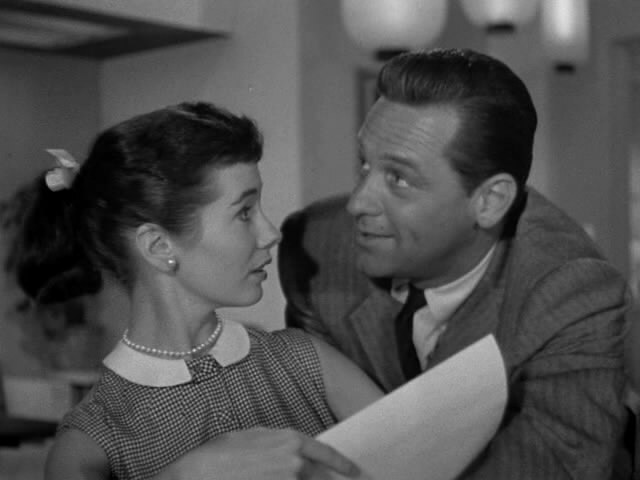 Successful architect Don Gresham (William Holden) engages a young actress, Patty O’Neill (Maggie McNamara), in conversation on top of the Empire State Building, and she accepts his invitation to dinner. Dropping in at his apartment on the way, they decide to dine there as Patty announces herself an excellent cook. 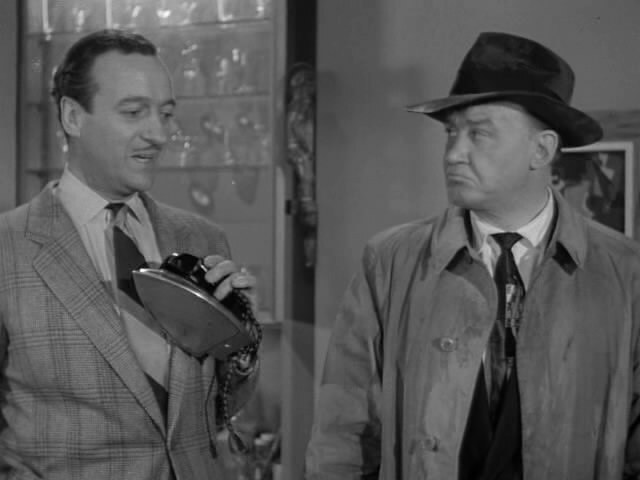 Don slips out to buy food, and Patty is briefly visited by his ex-fiancée, Cynthia Slater (Dawn Addams), and not too briefly, by Cynthia’s father David (David Niven), a middle-aged, practiced charmer who, on her invitation, stays to dinner. A slight accident at the table occasions Patty to change her dress for Don’s bathrobe. 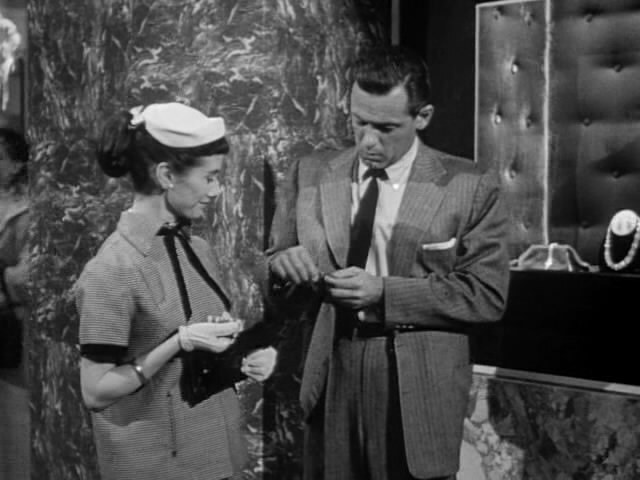 While Don is away placating the jealous Cynthia, David loses no time in offering Patty a proposal of marriage and a six hundred dollar gift. She accepts the latter and is surprised by Don in a grateful kiss to David. 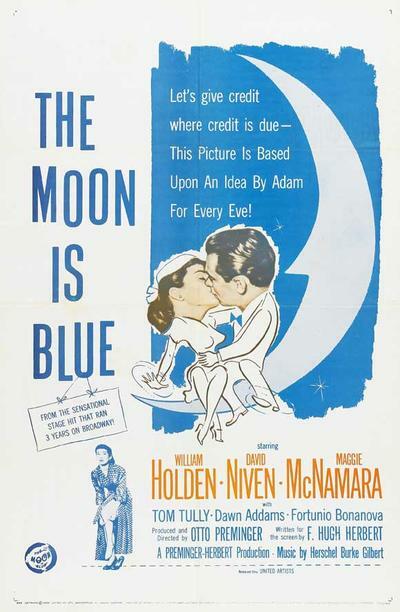 Don is still enraged with Patty when her father arrives, and, outraged to discover his daughter in a bachelor’s apartment, knocks him senseless.